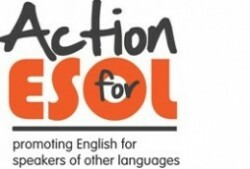 The Action for ESOL campaign is calling for a national day of action against the cuts to the English for Speakers of Other Languages (ESOL) provision. During the same week as the budget and the TUC demonstration, ESOL teachers, students and supporters will organise in their local areas to show support for ESOL. Actions can be large, such as a demonstration outside your workplace, or small such as having leaflets with ESOL info on them. The most important thing is to do something and let everyone in your community, college or workplace know. Let us know through the comments, or you can follow Action for ESOL on twitter (@actionforesol) or on Facebook.